My mother has lived at Brandywine for the last 7 months. She is 93 years old. The transiton was not easy for her, but the staff was extremely accomodating in helping her get settled. Living alone prior to her move had become unmanageable and unsafe, and she was alone most of the time. Brandywine and the staff have created an environment that is safe, and manageable for my mom. My mother loves every meal because the dining is restauraant style, and she can make her own choice of what she would like to eat. She loves the food and has shown us that she still has a hearty appetite. I have joined her for lunch and agree that the food is great. Her laundry is done for her, her apartment is cleaned once a week, and she receives assistance with showering. It is such a major improvement over how she was living in her own home. Brandywine is a small facility in comparison to others that we visited with most residents younger than my mom. Staff appear to know all of the residents due to the size which makes it very homey. That feeling was there when we visited and was the major selling point for us. All of the staff and administrators have been helpful and care about the residents. And of course, there are those shining stars who always go above and beyond. You see staff in the dining room, joining in activities with residents, and at special events. They are visible and appoachable. There are acitvities from 10am to early evening every day of week if your loved one chooses to participate.. On Fridays, there is live music at 3pm and a nice party atmosphere. The only area that could be improved for new residents and their families is to offer better communication regarding who to contact for what, and to outline the many additional services available to the residents. I had to ask alot of questions after we got through the move to learn about the tranportation available, the doctors and radiology available on site, etc. 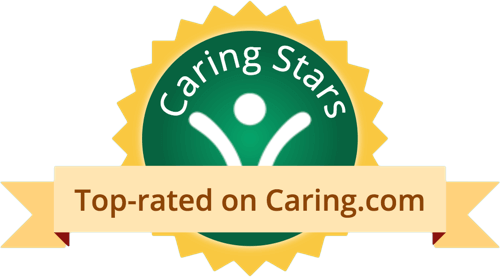 I highly recommend Brandywine at Wall for the care of your loved one. Most of the staff are excellent and really really care about the welfare of my parents. The are many activities and the people who run them are SO great! The building is much cleaner than any other AL facility I've been in. The food is good, if you need help with anything, Ally and Keith are always willing to help. Glad my parentsare there. I moved my father to Brandywine last fall when he was no longer able to live alone. I selected Brandywine because it was close to me, and it is a small community and the staff is wonderful. I think the staff really deserves a five star rating. They are all friendly to the residents and very helpful. They are also polite and respectful of the residents which is very much appreciated. My father enjoys the activities and the outings and hanging around the Bistro to chat with other residents and staff.. The food is great and I don't think he has ate this well in a long time. The facility is warm and inviting and very clean. My mother is very happy with her decision to move to the Brandywine at Wall. The staff is very helpful and friendly and made her transition an easy one. The residents made her feel welcome too. My mom is well cared for and the facility is spotless. She likes the food, both the quality and the variety of choices. There are many social activities during the day, as well as numerous special events and holiday celebrations throughout the year. I am glad that my mom now lives close by and that she feels safe and comfortable in her new home. I would recommend the Brandywine at Wall. My mom has only been in Brandywine for a little over a week. The care and compassion shown by the entire staff is remarkable compared to other facilities she has been in and other places we visited before making our decision. We are convinced we made the right decision. When employees like their jobs it shows and It is more then evident that Brandywine employees like there jobs. I would list all the employees that have gone beyond and above but would be afraid I would leave someone out. If you are unsure start with Allison who's compassion is sincere and comes naturally. When it became apparent that out mother could no longer remain in her home of over 30 years, my brothers, sisters and I began looking for the best place for her to relocate. We visited several assisted living residences near her home so she could stay close to her friends and activities. Ultimately, together with her, we chose Brandywine in Wall Township. This turned out to be a perfect fit for many reasons. Close proximity to my sister was indeed one but most importantly was how easily mom integrated into the residence and it became home. Because of the open embrace by the staff she never felt like “the new kid in school.” She participated in many of the activities and outings and made new friends quickly. As her health began to fail, we knew that she was in the care of compassionate professionals who would treat her with respect and dignity. Moreover, we knew that they would keep us apprised of any changes. My sister visited every day with her dog and they knew what that meant to my mother. When we called to check on her, we were never treated like we were inconveniencing anybody, it was more like our call and our mother were the most important thing at that time. In her last days, mom continued to be treated with dignity and respect by the entire staff. My sister and I too were treated with kindness and compassion beginning at the main lobby by the office staff, through the bistro and the dining room by the servers, and by all of the caregivers and nurses in the Refection’s unit. Keith H and Allie O should be commended for the residence they manage. We NEVER second guessed our choice of Brandywine in Wall and are thankful that mom’s last year was spent in a clean, caring, compassionate home. Mom has move to Brandywine at Wall. It is friendly and small. The staff is very competent and caring. There are lots of activities ranging from movies, word games, and crafts. The food is OK. Everything is meticulously cared for -- the maintenance, cleanliness and friendliness on the staff part. My Mom spent the last year of her life at Brandywine, after my Dad passed. It was the perfect choice. The staff is warm, caring & attentive, the peaceful, relaxed atmosphere was always a joy to visit. And she liked it very much, especially the plentiful activities and the good food. She made good friends at Brandywine, my family appreciates all that was done for her. What a peace of mind knowing that my mother is comfortably taken care of at Brandywine at Wall. Mom has been a resident since Sept. 2008 and loves every day there. The entire staff, EVERYONE, is knowledgeable, professional, caring and during certain celebrations, make us laugh. Its a great place to have your loved one call home. My Mom joined the Brandywine family in May, 2014. This is a place where she is well taken care of. The staff is caring, kind and friendly. The admission process was quick and smooth. There is a full calendar of activities every day and she raves about the meals. There was even a time that she didn't want to leave her exercise class to 'Big Band Music' to visit with us. It's a relief to see her adjusting to a new and fuller life than she had before at age 91. It's the toughest decision in the world to place your parent somewhere other than their own home. However, some circumstances in life occur and you have no other choice. When my siblings and I decided on Brandywine for our mom we knew we made the right choice. It was confusing for our mom in the beginning but everyone there went out of their way to help mom adjust. The patience they showed and the compassion the showed solidified our decision. The staff is very friendly and accommodating. They don't mind answering questions when you cannot be there. We know our mom is safe, happy, and well taken care of. Top notch all the way. Clean pleasant surroundings. Loads of activities. Can't say enough about the staff. Very personable & know me whenever I visit mom. Nursing staff is compassionate & knowledgeable. New lease on life for my 94 year-old, yet still mentally sharp mom. You know, it's no fun growing old feeling lonely, isolated, and incapable of caring for yourself. When you're watching the scenario play out through a parent's eyes it's gut-wrenching. Once we all decided Mom could no longer live on her own, Brandywine Senior Living at Wall was the perfect fit. In fact, she never looked back. Once again, Mom has quality of life - friends, care, activities, interests, and sustenance. The entire staff goes out of their way to make sure Mom stays safe, sound, and happy. Seeing Mom so cared for and happy gives us all peace of mind. We can't thank you enough. I want to express my appreciation for all the time and gentle words that each of the Directors of Community Relations conveyed to me and my sister as we prepared for this next decision in my Dad's journey.It was refreshing to witness how well they communicated with each other. Every last detail they knew about my Dad before they met my sister and I personally and then again when he came to visit. It certainly made us feel like someone was paying attention. I know together we will do all we can to make this a good experience for him. For the view that I saw because we weren't there very long, Brandywine Senior Living at Wall were excellent. The staff were very friendly. We just spoke with the just the person who was touring us around. We didn't talk to too many other people that worked there. The place was very clean, well-kept, and fairly up-to-date. It didn't look like you are walking in the 70's. They have flat screen TVs. The apartments themselves were a little bit small. My family and I live locally and stopped in to visit Brandywine Living at Wall for the future. We have heard wonderful things about the place from friends of ours who have had loved ones here. I would highly recommended this community. We were so pleased during our tour and even when Allison even invited us back in for lunch! The food was delicious , especially the soup of the day. The residents were taking part in the programs and we stopped to talk to some of the residents and they said they had adjusted well due to all the nice people that work here. Professional atmosphere that cares about their residents and also providing detailed information about their community at Brandywine and what they have to offer. My mom has been a memory care resident of Brandywine of Wall for more than 3 years. The facility is always clean and upbeat. The staff is very committed to maintaining every resident’s dignity, well being and happiness. They truly try to engage all residents no matter their limitations. I visit almost daily and I notice all the little things they do with such patience and warmth for ALL the residents. They search out the right activities, music they enjoy and foods they will like. The nurses, the aids and those who organize activities really do care. I can’t imagine my mom anywhere else. I know she feels safe, comfortable and loved. I only have praise for all that work at Brandywine. Keith, Mona, John, Helen, Amanda and Giovanna are all just the best and have such special staffs. I am so grateful I selected Brandywine for my mom. When our Mom was moved from the Assisted Living section of Brandywine and entered, Reflections, the memory care facility, we didn’t know what to expect. What we found was the same caring and compassion from the staff that she experienced before, but customized to meet her growing needs. Her health is carefully monitored. 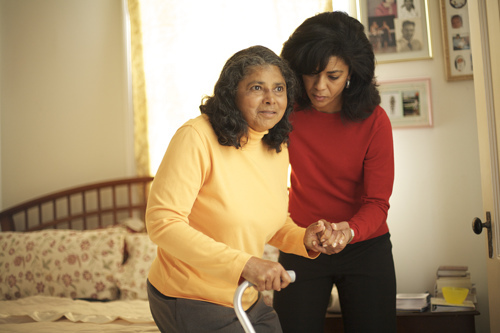 The family is informed whenever her health decreases and her need for care increases. She has freedom of choice in meals and activities although everything is carefully presented so she never feels overwhelmed. The cleanliness and the bright and cheery atmosphere along with the friendliness of the staff allows Mom to enjoy her surroundings, and helps our family cope during this challenging time. When we visit we always find the residents participating in sing alongs, movies or story time. We especially appreciated when our Mom was celebrated as Resident of the Month. We are very thankful that we chose Brandywine for our Mom’s continuous care. Brandywine Living at Wall is located in Monmouth County, New Jersey, which has 27 miles of pristine beaches, many historic sites, two race tracks, and fishing (deep sea and fresh water). Brandywine Living at Wall offers assisted living, memory care, and skilled nursing. Among the amenities included are: 2- hour licensed nurses on-site, safety & emergency response systems in every suite, comprehensive social, cultural, and recreational activities, all-day dining, and more! What should caregivers and potential residents know about Brandywine Living at Wall?